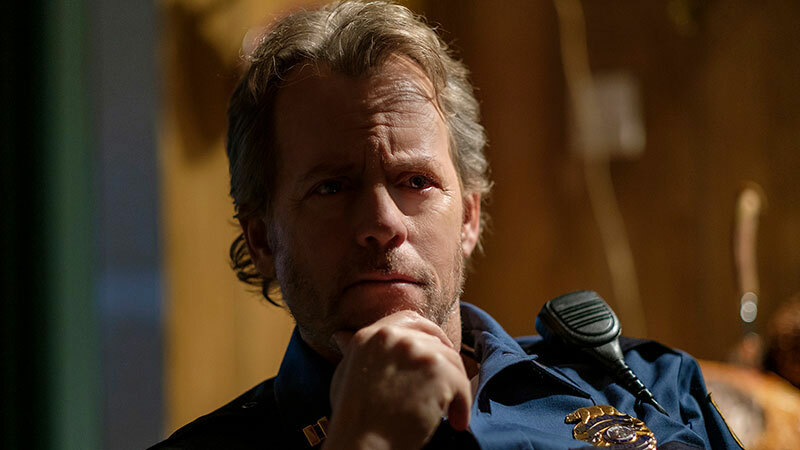 If you’ve seen “A Traveler”, the fourth episode of the new Twilight Zone series on CBS All-Access, there’s a good chance your head was spinning a bit while it was on. Even fans who liked this episode seemed at least a bit confused by the story. But as I explained in a podcast with Tom Elliot, that appears to be the point. The episode (written, tellingly enough, by X-Files scribe Glenn Morgan) plays quite freely with the whole idea of what’s true and what’s not — and whether, in the end, it even matters. “You believe what you want to believe”, the title character says at one point. “Isn’t that what Christmas is all about?” The main gifts here aren’t packages that come wrapped with bows, but claims that, depending on your state of mind, are either acceptable or not. If you’re interested in delving into the episode a bit more, check out the podcast. It’s a bit long (Tom was too gracious a host to cut me off mid-ramble! ), but if you’re trying to figure out what was going on, and why, it might answer some questions for you. 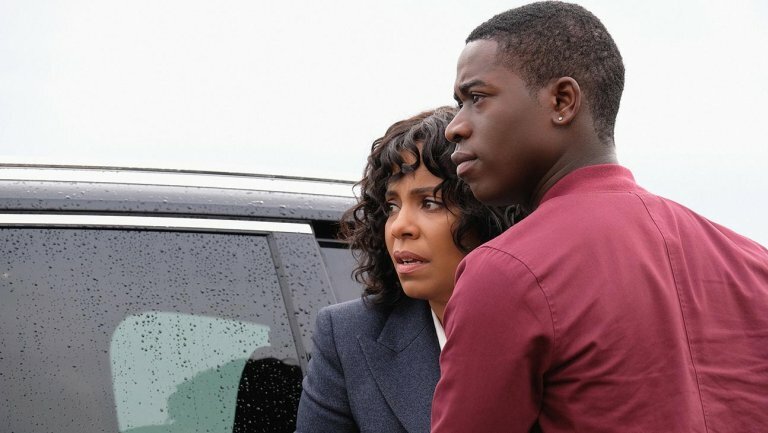 I recently started to write a conventional review of “Replay”, the third episode of the new Twilight Zone on CBS All-Access. But I soon got bogged down in a lengthy synopsis, and it just wasn’t clicking for me. Besides, if you’re interested enough to read an article about a particular episode, you’ve likely seen that episode. No recap is needed. So let’s try something that, I hope, will work whether you’ve seen “Replay” or not. Let’s talk about … messages. If there’s one piece of conventional wisdom we’ve all absorbed about The Twilight Zone, it’s this: It was a “message” show. 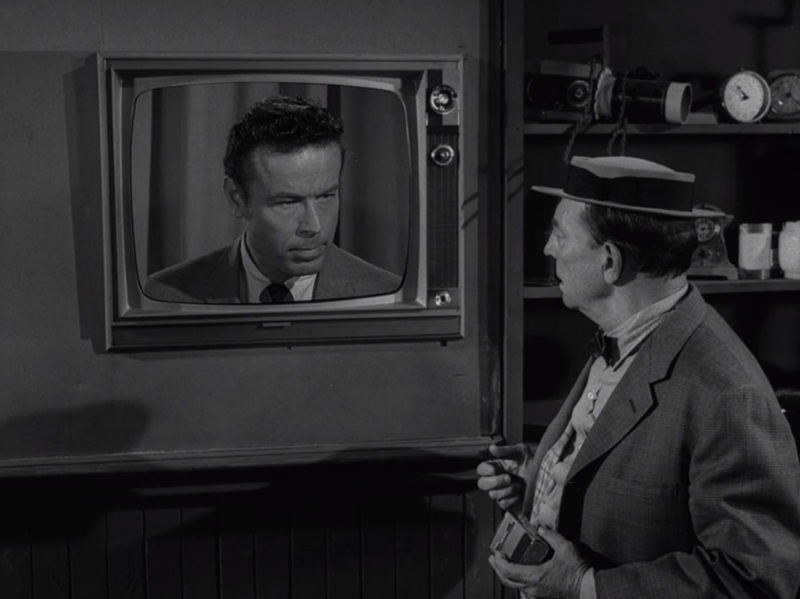 TV censorship was notoriously strict in the late 1950s and early 1960s, so Serling cleverly snuck his viewpoints in via allegory. Instead of doing a show about, say, Senator Joseph McCarthy — whose investigations into charges of Communist infiltration in the U.S. government helped fuel the notorious “red scare” of the early 1950s — Serling would write “The Monsters are Due on Maple Street”. That way, he could show us the corrosive effect of suspicion and betrayal on ordinary Americans without saying one direct word about politics. 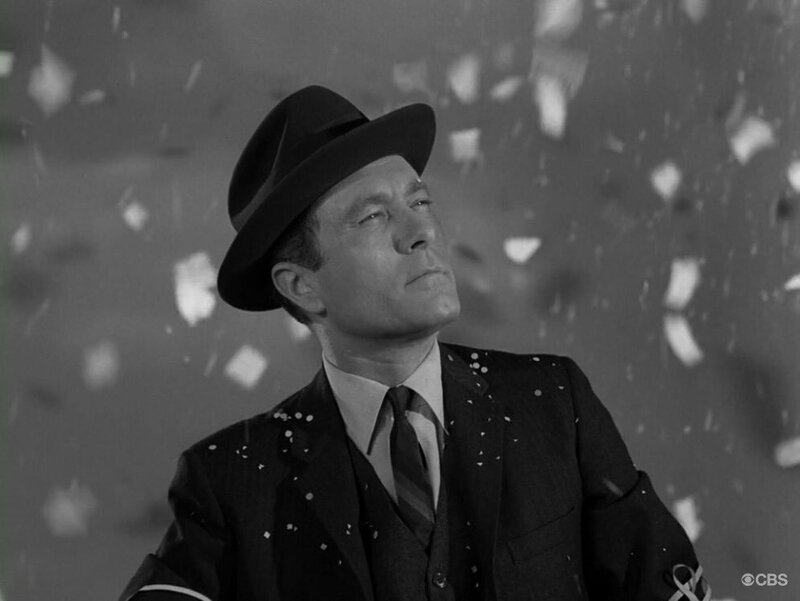 But while there is no question that Serling wove messages into the original TZ, people seem to forget that he didn’t do it all the time. Yes, some episodes had direct, pointed messages — like “He’s Alive” and “Deaths-Head Revisited”. And the Fidel Castro look-alike in “The Mirror” left little doubt he thought the Cuban leader might soon meet a violent end. Other episodes functioned as modern-day fables. There are indirect messages that can be detected and appreciated if you’re looking for them, but they’re not essential to a “surface” enjoyment of the story. Examples include “People are Alike All Over”, “Eye of the Beholder”, “The Old Man in the Cave”, and “The Obsolete Man”, to name just a few. 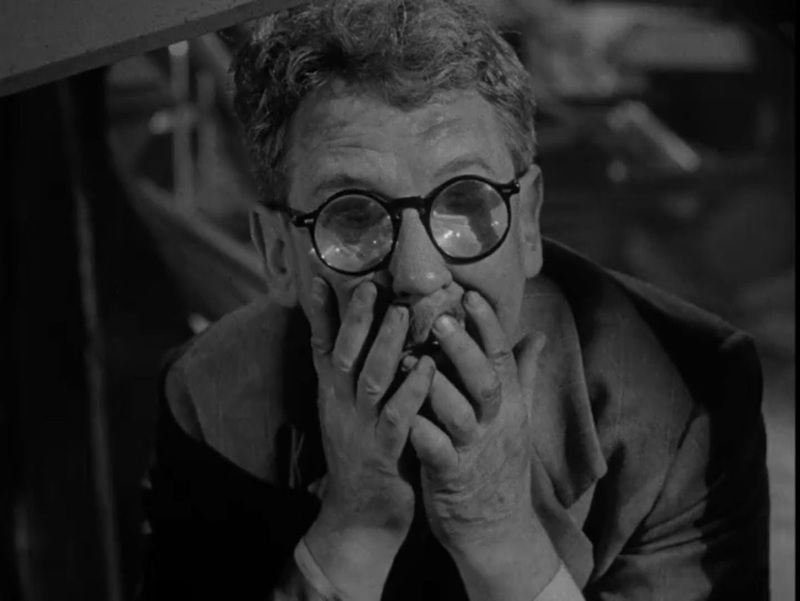 I’m used to writing “spoiler alert” on some of my articles about the original Twilight Zone, but it’s practically a joke. I mean, we’re talking about a series that debuted almost 60 years ago. And yet here I am, reviewing a new TZ, so it actually makes sense to warn people who may not have seen the initial episodes — or who are withholding judgment until they learn more about them. So let me give you my impressions of “The Comedian” and “Nightmare at 30,000 Feet”. I’ll try to keep them, yes, spoiler-free. First off, this is a really handsome production. That’s not much of a surprise, of course, given the involvement of producer Jordan Peele, but for anyone familiar with the previous two reboots, it’s nice to see. CBS is finally giving TZ the respect it deserves. Gone is the cheap look of the TZ that ran from 1985-1989, and again in 2002. The cinematography and direction are feature-film-worthy. If you’re a Twilight Zone fan, you know the work of George Clayton Johnson. He wrote some of TZ’s most beloved episodes, including “A Penny For Your Thoughts”, “Nothing in the Dark”, and “Kick the Can”, which was remade for “Twilight Zone: The Movie”. 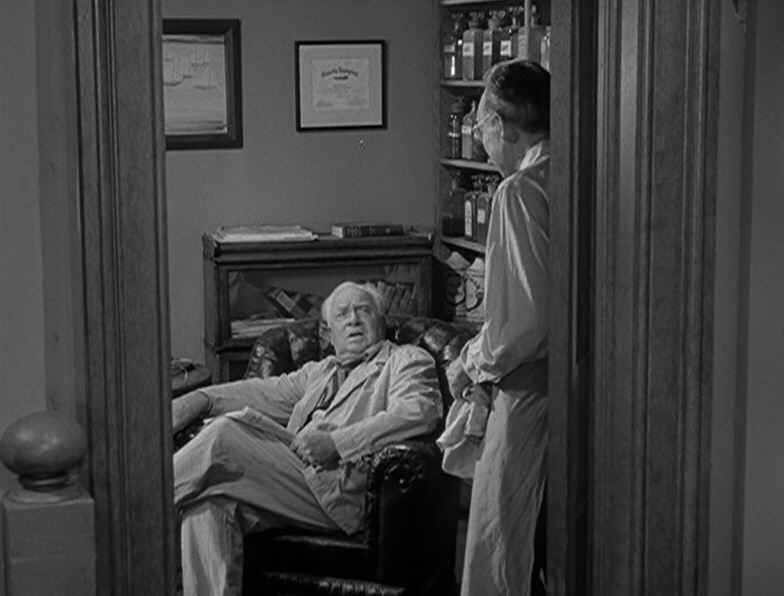 But even before he sold his first script to TZ, Johnson was contributing to the series. 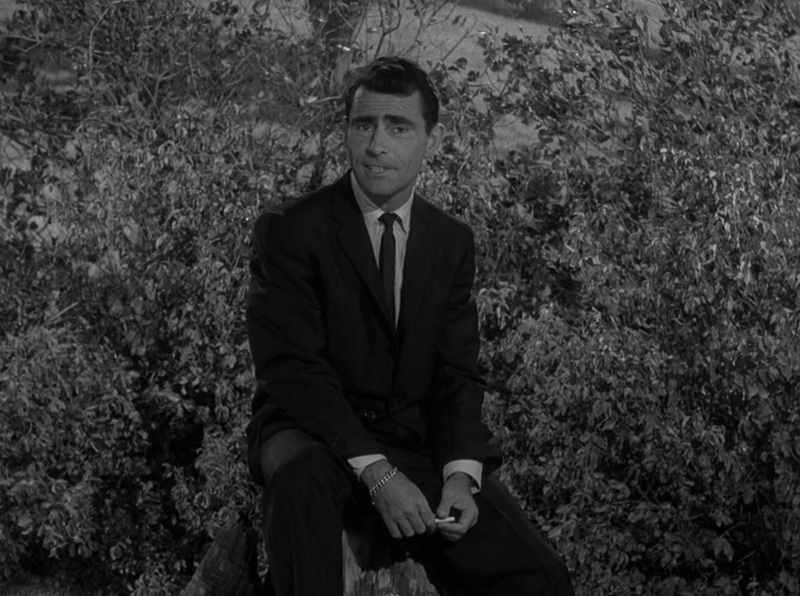 Rod Serling adapted two of his short stories for the first season: “The Four of Us Are Dying” and “Execution”. 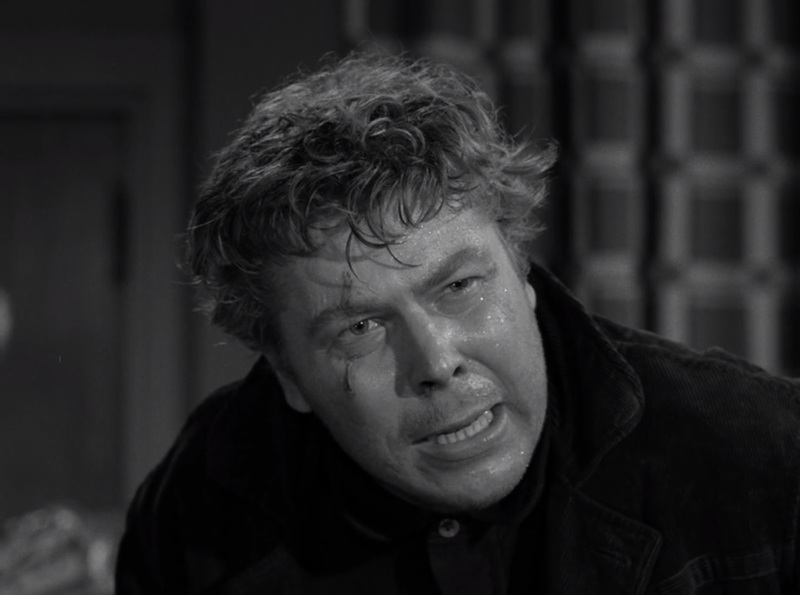 I’ve already outlined how drastically Serling overhauled a story that Johnson called “All of Us Are Dying”. The changes he made for the then-unpublished “Execution” weren’t quite as extensive, but still — he made it uniquely his own. 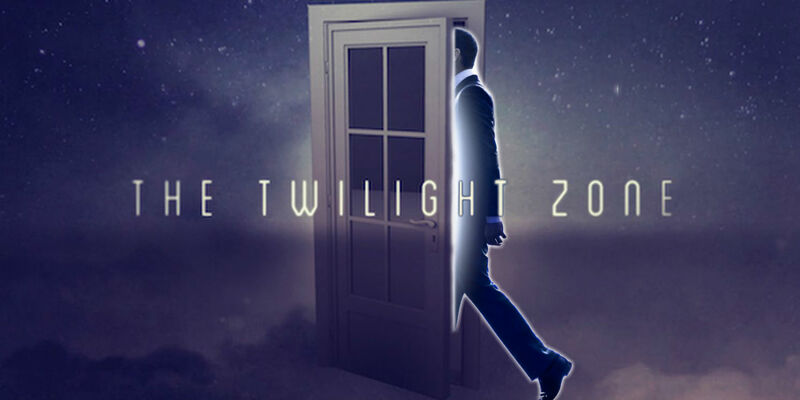 We’ve been hearing about the upcoming Twilight Zone reboot for quite a while, and now we have a premiere date: April 1, 2019. 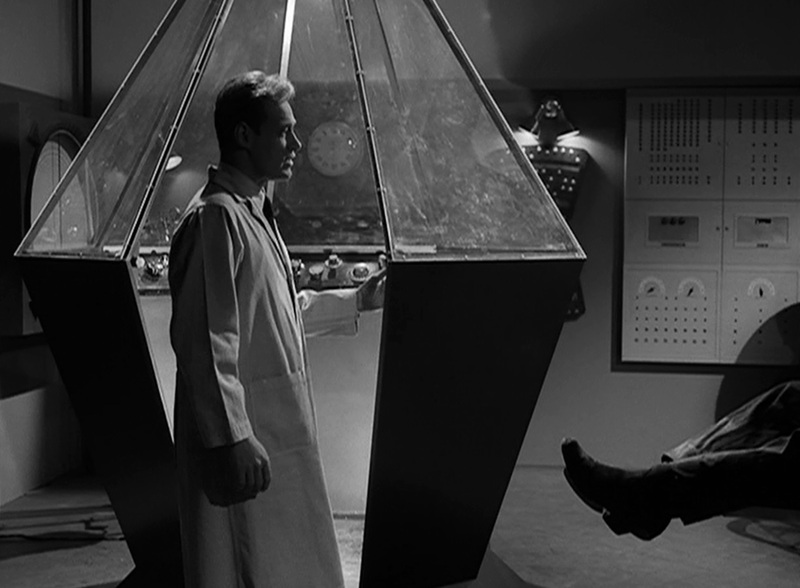 If you’re like most TZ fans, your reaction falls into one of two camps: enthusiasm or dread. I see it almost every time the reboot comes up: Someone either can’t wait, or is sure it’ll be a complete mess — a stain on Rod Serling’s legacy. I have to admit, I fall somewhere in between. Basically, I’m cautiously optimistic. I get the enthusiasm of the “pro” crowd. They’re TZ fans, so it’s only natural that the prospect of new episodes excites them. Who wouldn’t want a return trip to the fifth dimension? I like these kinds of stories myself, obviously, and I enjoy other anthologies, so the thought of having new episodes sounds like fun. But I also sympathize with the “anti” crowd. Look at the first two reboots, they say. 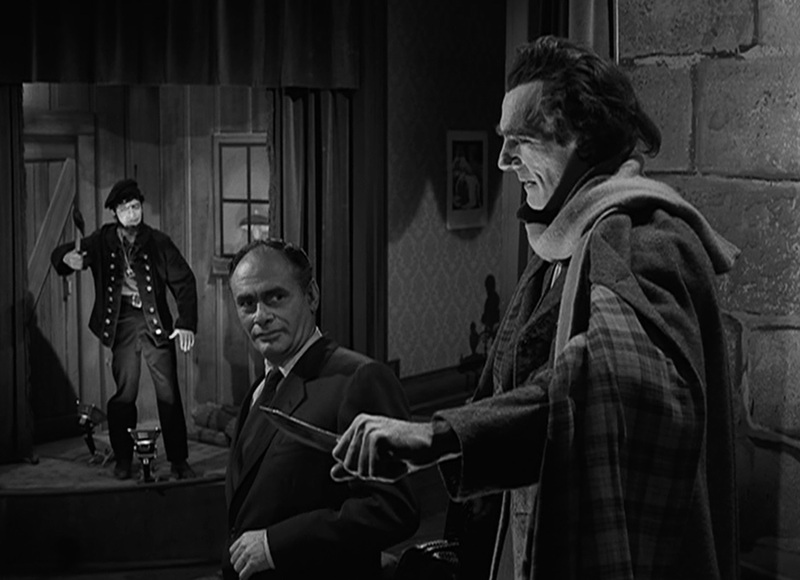 Sure, the ’80s one had some good stories, but by and large, it didn’t measure up — and the 2002 TZ was worse. Why should this one work? 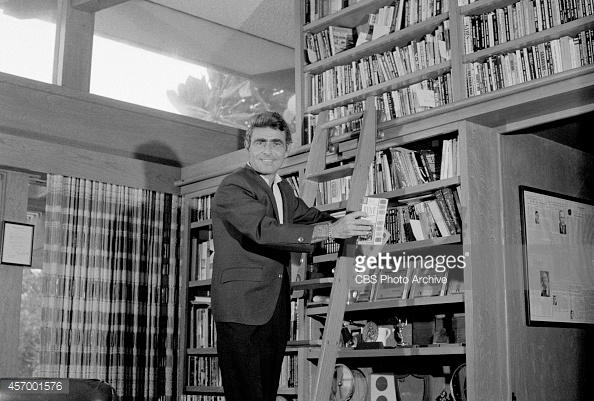 And come on, there’s only one Rod Serling! If you’re a fan of Season 4, you’re out of luck. Syfy won’t be showing any of its 18 hour-long episodes. Now, I think we can all agree that TZ is best suited to the half-hour format, so I suppose their decision is a practical one, but in the past, they’ve nearly always worked in a couple of them here and there. If you’re fan of Seasons 3 and 5, you’re definitely in luck. Syfy will be running every episode from both of those seasons. As for Seasons 1 and 2, it’s not bad: They’re showing about half of S2 (15 of its 29 episodes) and roughly two-thirds of S1 (23 of its 36 episodes). Unfortunately, a lot of them (at least when it comes to S1) are clumped up toward the end, in the wee hours of January 2, when viewership is sure to have dropped off. I realize they can’t include every episode (except the one time they did, back when we rang in 2016), but honestly, no “The Howling Man”? No “Mirror Image”? No “A World of His Own”? Heck, no “Night of the Meek”? It’s the Christmas season! Especially when we’re getting “Young Man’s Fancy”, “Showdown with Rance McGrew”, and “Cavender is Coming”, all of which make my list of least-favorite episodes. I have to admit, being a fan of the Syfy Channel’s biannual Twilight Zone marathon has been a bit nerve-wracking lately. Every New Year’s and Fourth of July, there they were, serving up a generous helping of our favorite show. The only question was what episodes they’d show and when it would start. When, not if. Some line-ups were better than others (the every-episode-in-order one that ushered in 2016 was particularly well-received). And yes, in 2011 they celebrated the Fourth of July with a slate of “Greatest American Hero” episodes. But for the next few years, they didn’t miss. Until last Fourth of July rolled around, and Syfy delivered a roster of “Nightmare on Elm Street” movies. Um, fireworks and Freddy Krueger? At least the “Greatest American Hero” made thematic sense! True, a station named “Decades” stepped into the breach with an all-day Zone-a-thon. Much appreciated, to be sure, but — for now, at least — they don’t have the reach of Syfy. Most fans couldn’t tune in. Ah, Halloween. 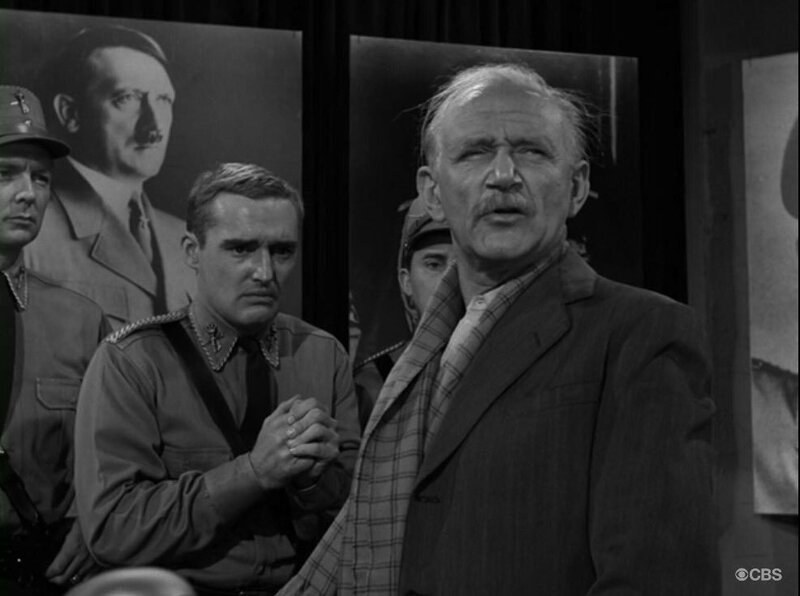 Could there be a more ideal time to watch one of my favorite episodes from Twilight Zone’s fourth season: “The New Exhibit”? If you aren’t familiar with it, I have three words for you: murderous wax figures. Yes, this is definitely one you should watch in the dark. One thing I wondered about when I first watched “The New Exhibit” is the backstory behind the five wax figures. Were these all real-life murderers, or were they made up for Charles Beaumont’s script? I say “all” because one of them is the very famous Jack the Ripper. His reign of terror in the Whitechapel area of London in the late 1880s is so legendary that hardly anyone hasn’t at least heard of him. I certainly knew HE was real. But what about the other four? 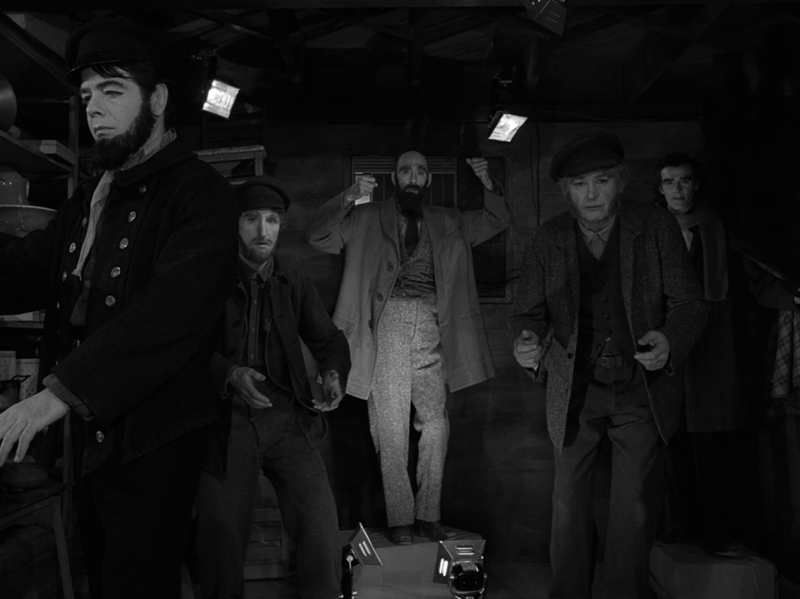 Maybe there are some crime buffs out there who watched this episode and immediately recognized Albert W. Hicks, Burke & Hare, and Henri Landru. But not me.